It felt like fall here in Charleston this weekend, and we have Hurricane Irma to thank for that (The only good thing coming from this nasty storm)! Luckily for us, Irma changed it's path and we're only expecting tons of rain today. I am praying for everyone in the path of Irma and everyone that has been affected! 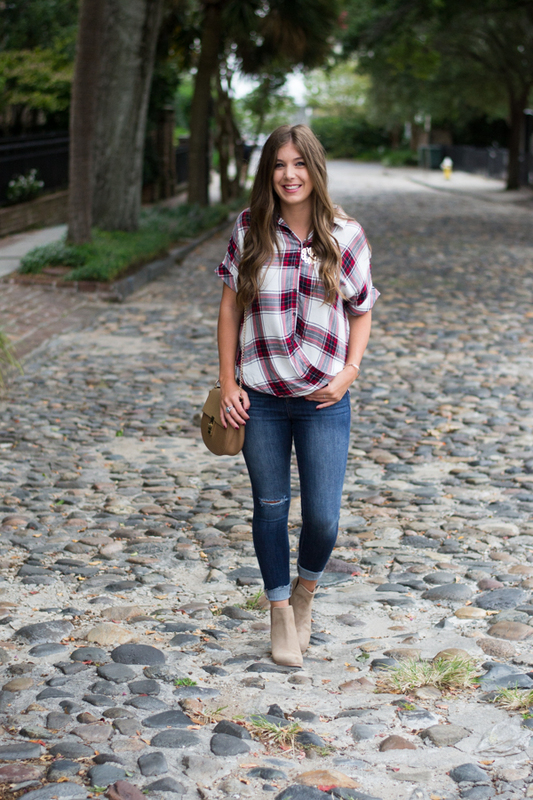 This top is the perfect shirt to transition into fall! 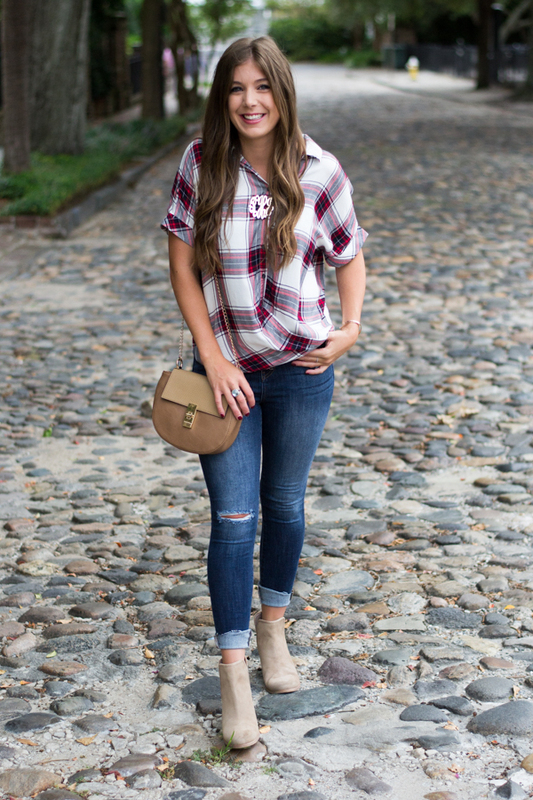 Plaid is my go-to pattern for fall, and this short sleeve plaid top is making transitioning seasons super easy! 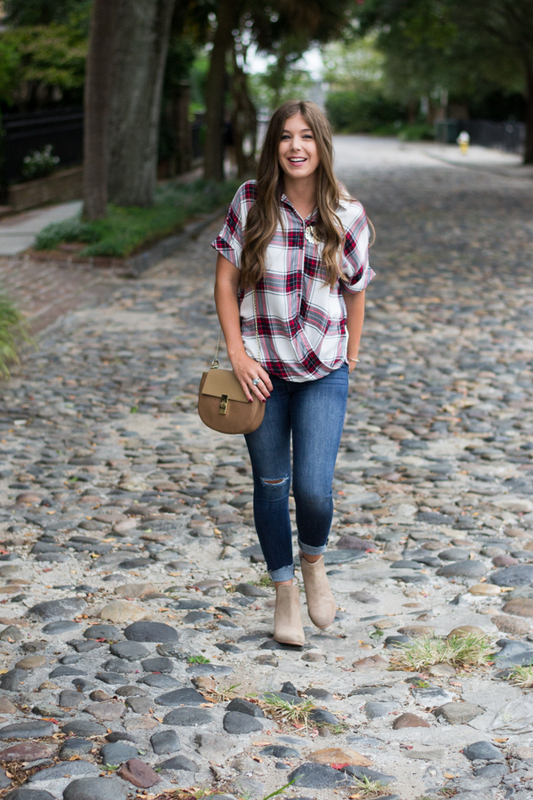 If you're looking for a plaid top to help transition you into fall, Francesca's has a great selection! I have to say I never liked a plaid shirt until I seen this one! Its fab!!!! 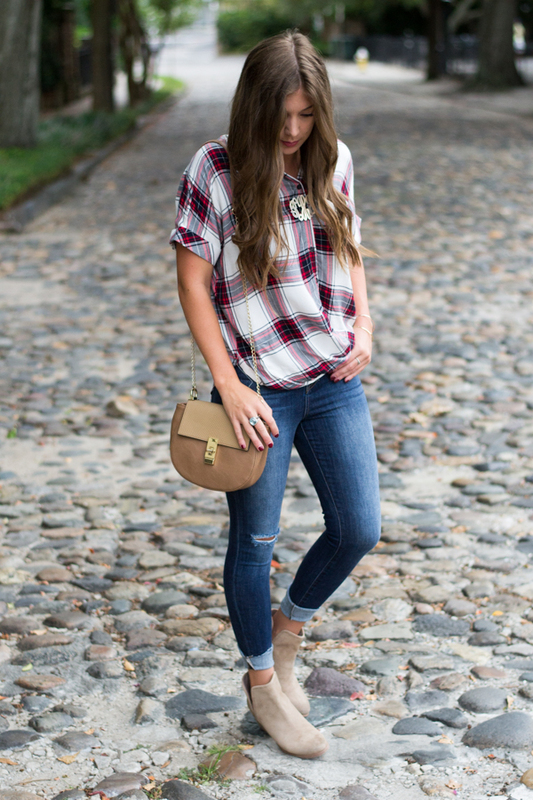 Absolutely loving this whole plaid look on you:) So beautiful for fall! This top is fantastic. 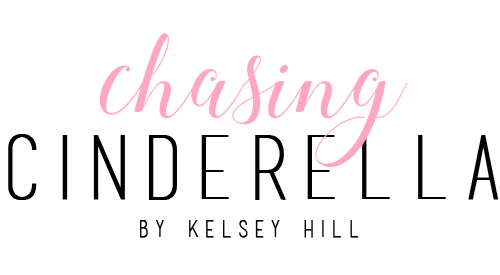 It does feel like a transition and I like that, right before plunging into full on long sleeve plaids! It's pretty stinking cute! I love it on you, Kelsey! I love plaid. 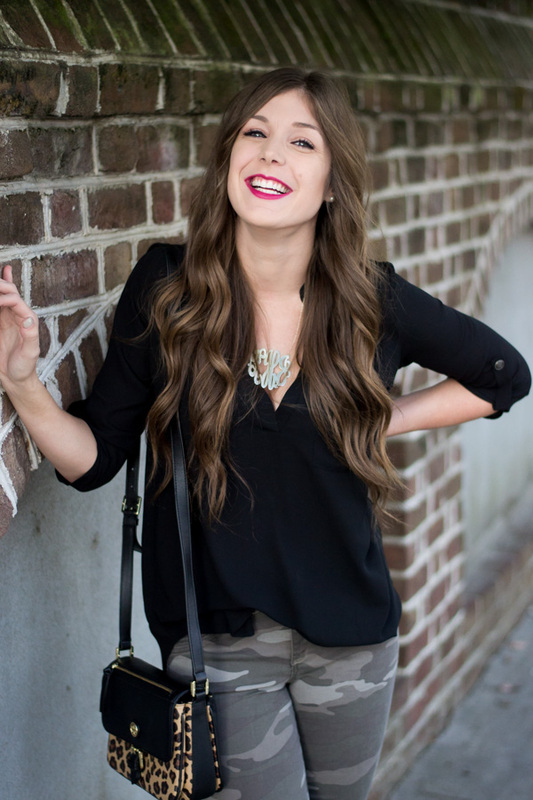 This top looks really comfy and just a bit different than a regular button down. How cute is that plaid shirt! I really like how it has a draped wrap style look to it! Cute! Plaid is my favorite fall pattern. Love the booties too! I love your top. The little flow is so cute. That is the cutest top ever!!! Love that gorgeous smile girl!! I was just admiring this top on your Instagram. It's the cutest. 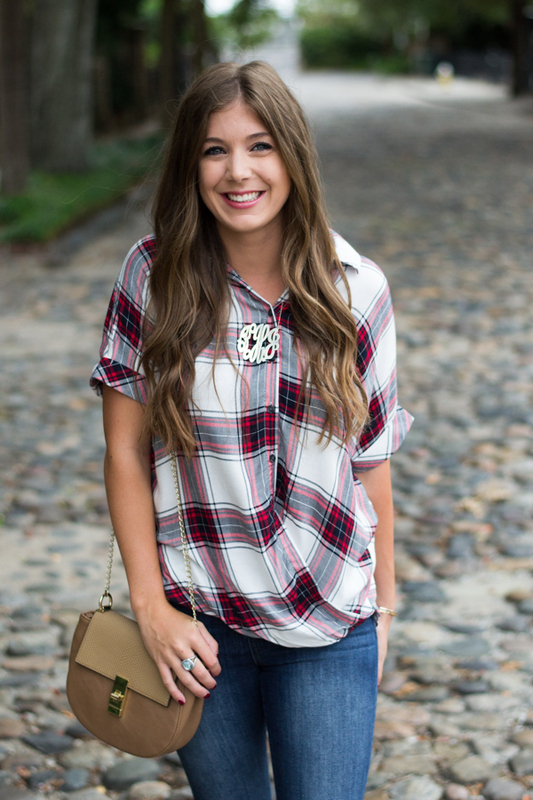 Plaid is one of my favorite prints during the fall. I gotta get my hands on this piece! 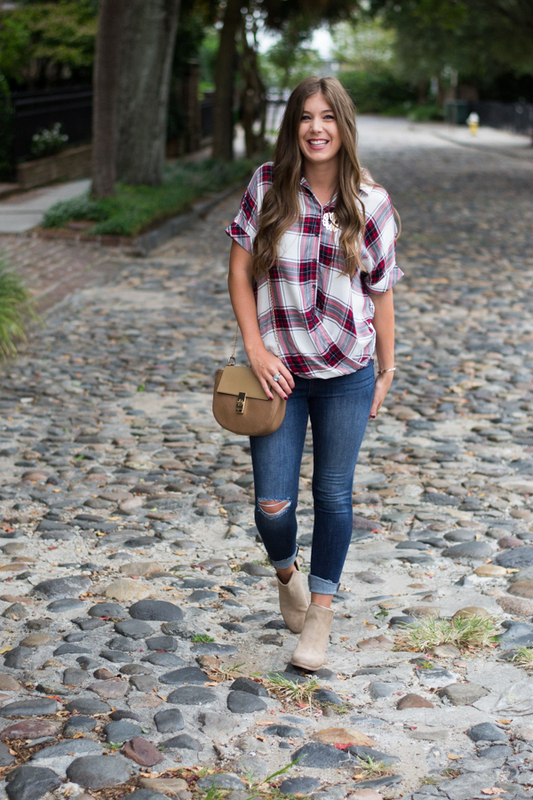 What a cute top and perfect to transition you into fall! Love that top so much! 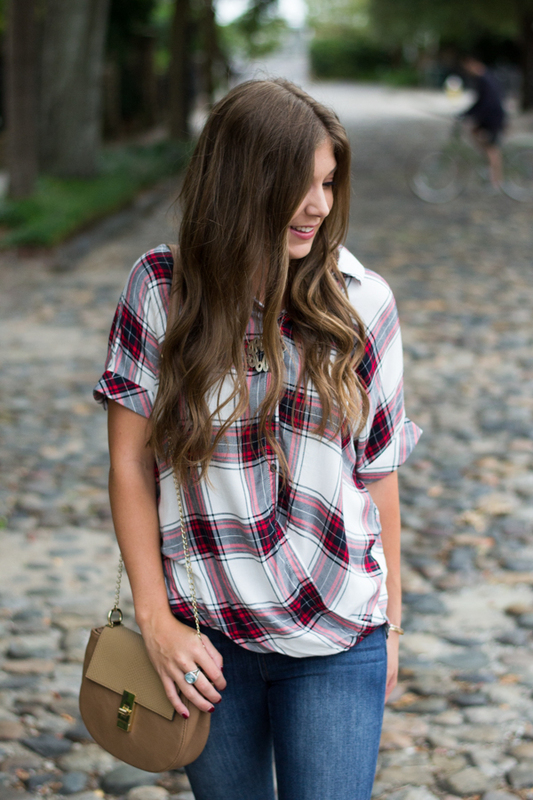 Such a cute plaid top!! Loving the color combo! Love your outfit! The top is cut very different than your usual plaid shirt, which makes it really special. 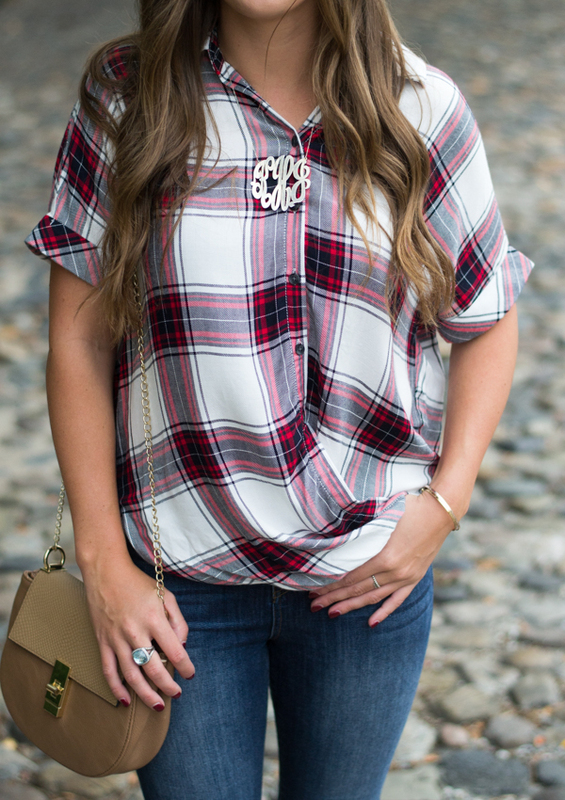 This plaid top is absolutely adorable! It looks like such a comfortable and versatile piece. Such a cute blouse, love the wrapped style! Such a cute top girly! You are seriously the cutest.